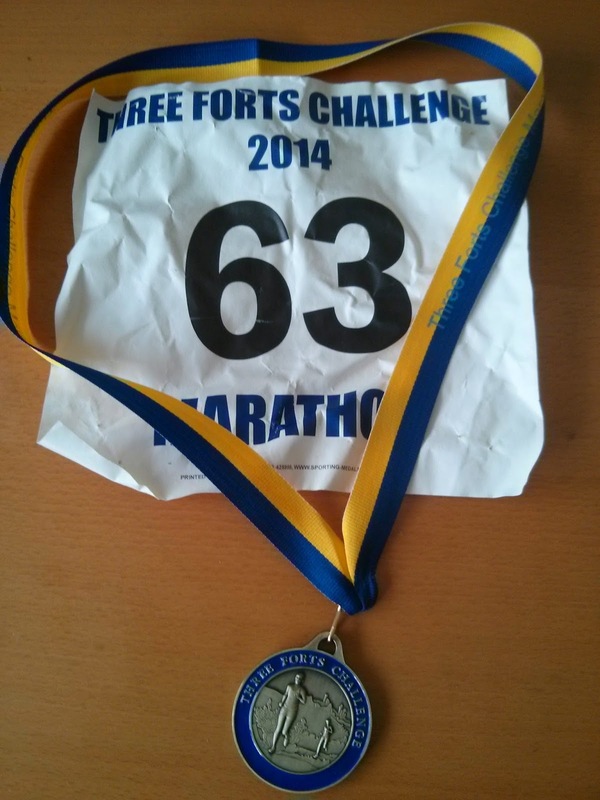 Another weekend, another marathon - the Three Forts completes three in three weekends for me. 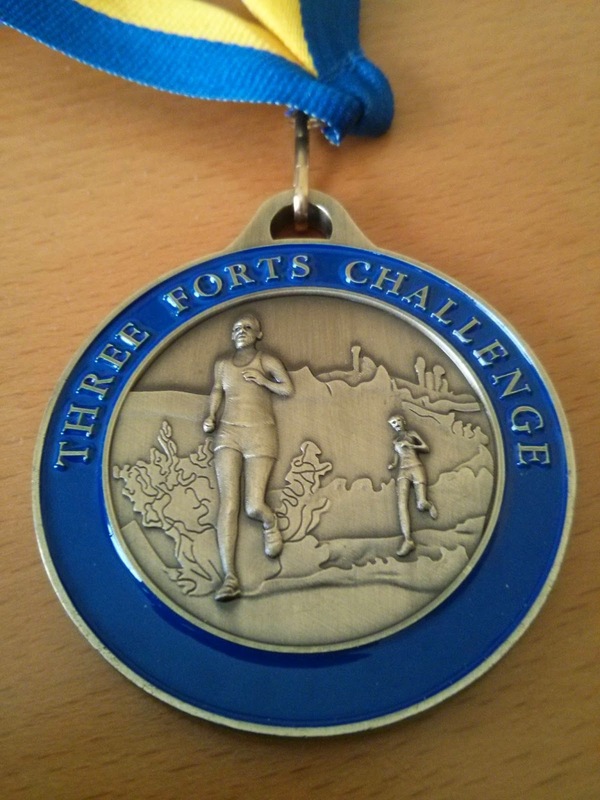 This one qualifies as an ultra because it is 27.2 miles. The miles were fine, but the hills got me in the end. Plenty of big climbs over the South Downs, interspersed with even more smaller climbs. This has to be one of my favourite marathons: well marshalled and supported with 11 checkpoints, all with water and sweets, and cake and banana later on, so no need to carry anything. Beautiful countryside and stunning views across the South Downs. Great atmosphere, sunny day but not too hot. And loads and loads of ascent and descent. I set off quick with John from Trent Park RC, for a nice two mile ascent to Cissbury Ring to warm us up, then immediately downhill again. We crossed the Adur River at 7 miles bang on an hour, then I was reduced to walking up Beeding Hill. Four miles out and four miles back with three smaller downs and ups after the big climb. A couple of miles in the front runners were already on their way back. I passed the turnaround in 70th with John less than a minute behind me. I enjoyed this section seeing the rest of the field heading towards me, then the descent back to the road. I made a mistake here - should have eaten. Two miles into the ascent at the 18 mile water station John left me for dust, running uphill while I was reduced to walking. It took me until the next water station at Chanctonbury Ring to start feeling better and pick up the pace again. All that was left was four miles back to Cissbury Ring, then the fast two mile descent into the finish for my favourite moment of the race - being cheered down the long finishing straight. I found John lying on the grass, having finished nine minutes ahead of me. I grabbed a shower and massage then returned to the line to watch more runners finishing. Almost everyone was crossing the finishing line with a big smile! This has to be one of the best marathons that I have run - hard hills, varied trails and great support, topped off with sunshine. Here is the route on Strava. Marathon #61 completed in 4:22:07.